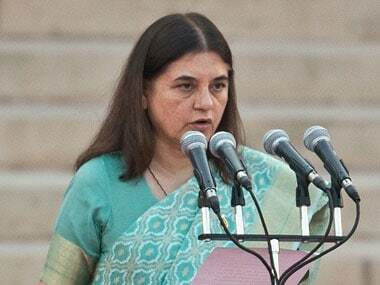 New Delhi: Women and child development minister Maneka Gandhi on Tuesday said that after the "resounding" success of the "Beti Bachao Beti Padhao" scheme, the ministry is now targeting the problem of malnutrition. 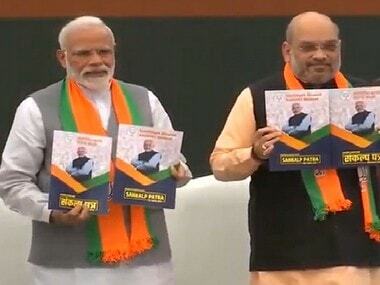 "After the resounding success of Modiji's Beti Bachao Beti Padhao programme that brought about a phenomenal change in the mindset, a similar approach is needed to fight malnutrition, particularly among mothers and children," she said. The minister was addressing the "National Conference on Mission Mode to address Under-Nutrition". The conference was organised by the WCD ministry in collaboration with the Ministry of Drinking Water and Sanitation and the Ministry of Health and Family Welfare, keeping in mind the goal of "Mission Malnutrition Free India-2022". Gandhi gave away awards to three states — Chhattisgarh, Arunachal Pradesh and Gujarat — for substantial reduction in stunting (impaired growth and development that children experience from poor nutrition) during the 10-year period between National Family Health Survey (NFHS)-3 and NFHS-4. She also released a book "Forest Lanterns" containing essays on solutions to improve nutrition among children in tribal areas. Gandhi said there is an urgent need to improve the quality of supplementary nutrition and to make the delivery system efficient. "We must provide 1,000 calories to women and 600 calories to children under ICDS (Integrated Child Development Services). The focus of the entire mission should be to administer nutrition rather than feeding beneficiaries by giving nutrient-dense food." 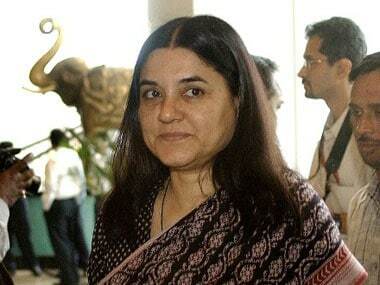 A change in policy is required to implement this, the minister said. The ministry will soon issue new guidelines on supplementary nutrition in this regard in the next few days which will supersede all existing guidelines. "Similarly, a separate self-contained protocol for severely and acutely malnourished (SAM) children will also be issued shortly," she added. Minister of State for WCD, Virendra Kumar, said: "The country has succeeded in eliminating several difficult problems like chickenpox and polio and thus it should not be difficult to overcome the problem of malnutrition." Secretary, Ministry of Drinking Water and Sanitation, Parameswaran Iyer, said the problem of malnutrition is closely linked to the problem of drinking water and sanitation. "The Swachh Bharat Mission is trying to achieve the goal of total sanitation which will also contribute to reducing malnutrition," he said.